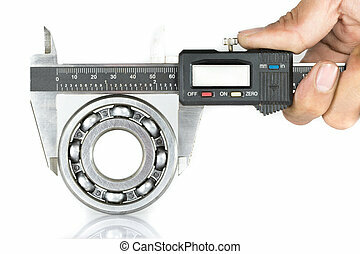 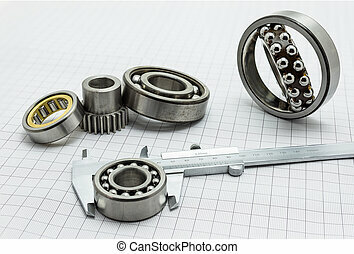 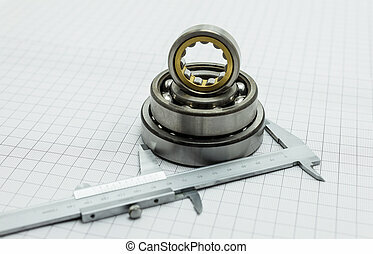 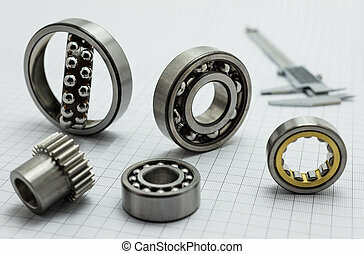 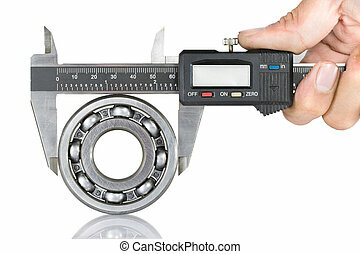 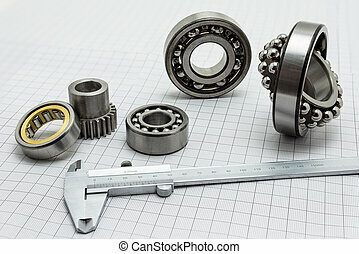 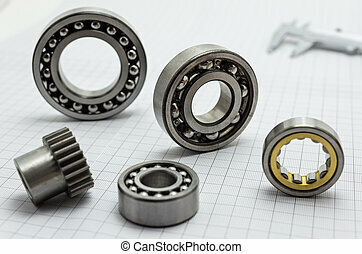 Ball bearings and metal vernier caliper. 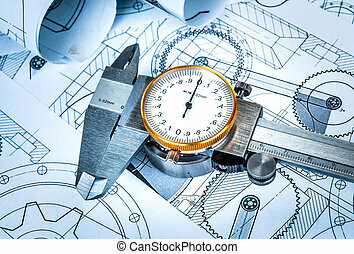 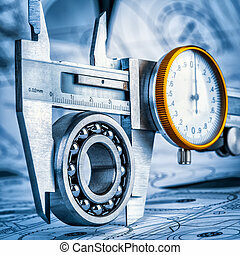 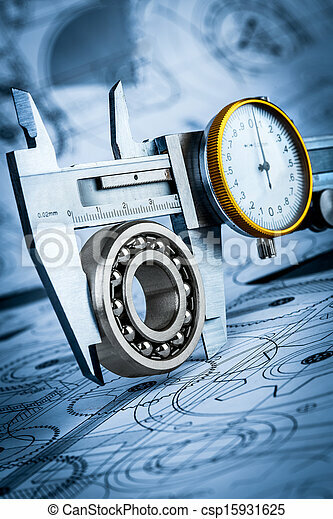 Metal vernier caliper and ball bearings on technical drawing a blue toning. 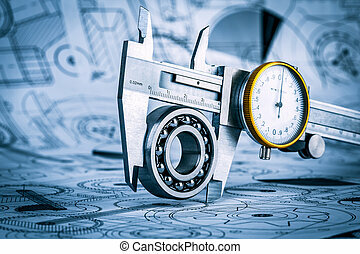 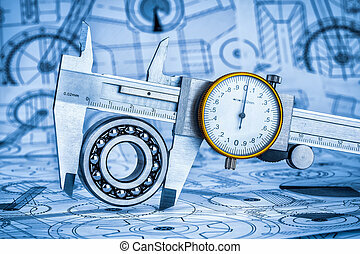 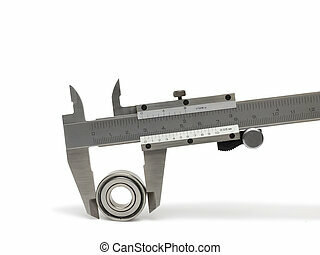 Vernier caliper lying on mechanical scheme with bearings. 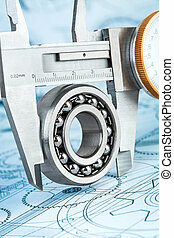 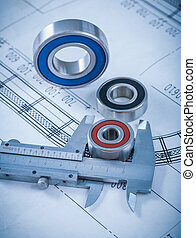 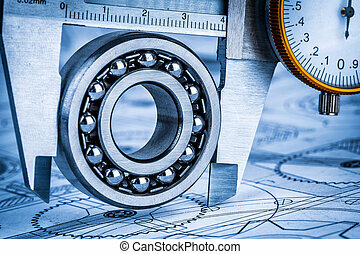 Metal roller bearings and trammel caliper on blueprint construction concept. 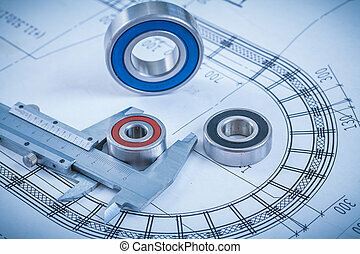 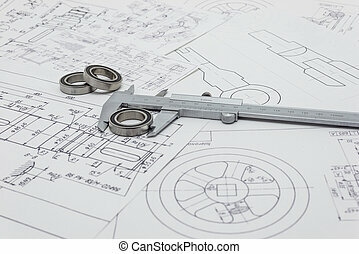 Metal rolling bearings and slide caliper on blueprint construction concept. 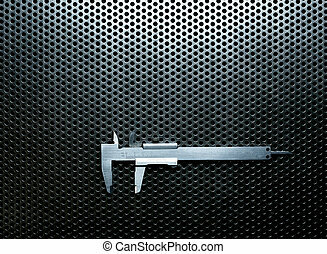 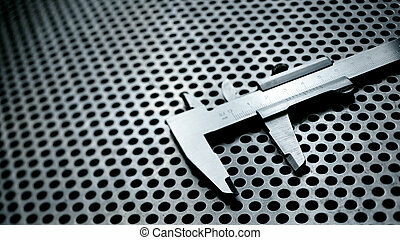 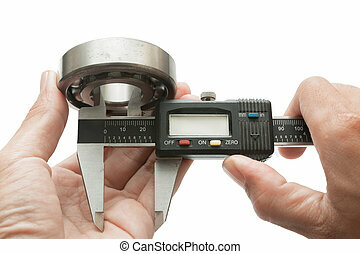 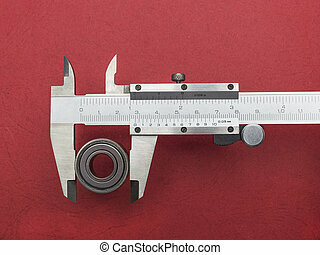 Vernier caliper lying on drafting paper with bearings and small gear.